Baby's got a brand new colossus. 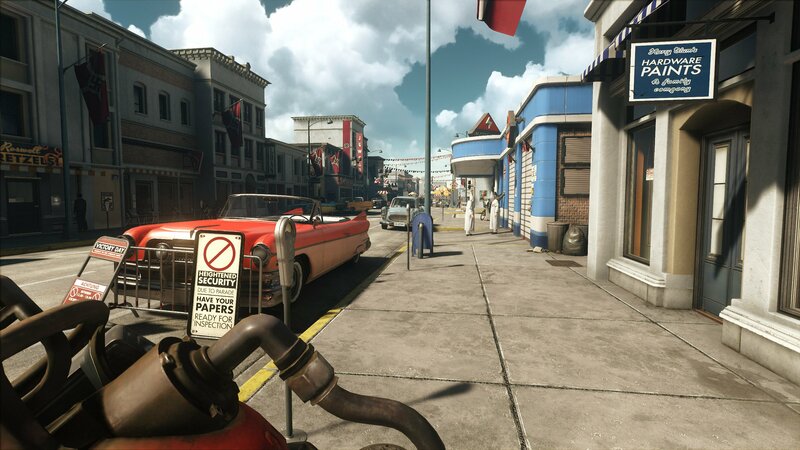 Wolfenstein II: The New Colossus is a shooter with ambitious aims. The series’ recent revival started off on a strong foot, with The New Order’s bombastic reimagining of a World War 2 that went wrong. Its sequel carries on in the fashion of introducing characters larger than the harrowing lives they’ve lived now under Nazi rule, and sating your thirst for the blood of those responsible for it. In the aftermath of the first game, which ended on a fairly sacrificial note, it turns out your last gasp victory over General Deathshead didn’t actually stop the German regime. Most of the world has kowtowed to the technologically advanced Nazi forces now employing drones and robots big and small to keep the peace in the American Territories. This setting allowed the writers to delve much further into the world of alternate-history 1960s than the meagre snapshots you could glean from reading letters scattered around the Nazi homelands of Europe. There are so many windows into that world throughout New Colossus. From the overt juxtaposition of housewives discussing families being black-bagged from their homes during Victory Day parades through an American city, to subtler performances you can eavesdrop on. Some are simple displays of the inhumanity of your enemy, but others play with the similarities they may have with you or act as allegories for the American public’s acceptance of new rule just as German citizens slowly adjusted to Hitler’s policies in the late 1930s. Everything is controlled by the state to promote its ideals, including TV (which resistance members continually complain about the quality of) and music. 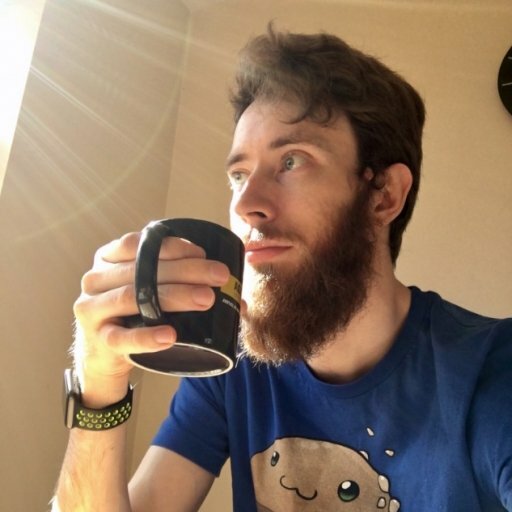 Mick Gordon, famed for his work on the Doom and previous Wolfenstein soundtracks, provides incredibly heavy heart-pumping music to soundtrack your gunfights, but has also put together songs from fake bands with the brief “imagine if German artists had invented pop in the 60s”. In addition to being great satire, they’re annoyingly catchy and split through with propaganda, too. One song by boyband Die Käfer tells people about Changeover Day, when they have to stop speaking English or Bad Things will happen, and it will be stuck in your head for hours. The arcade cabinet resides on your home hub, the captured Eva’s Hammer – a gigantic U-boat so big your crew has forgotten sections of it exist. This single location is one of the greatest examples of immersive storytelling I can recall in games. 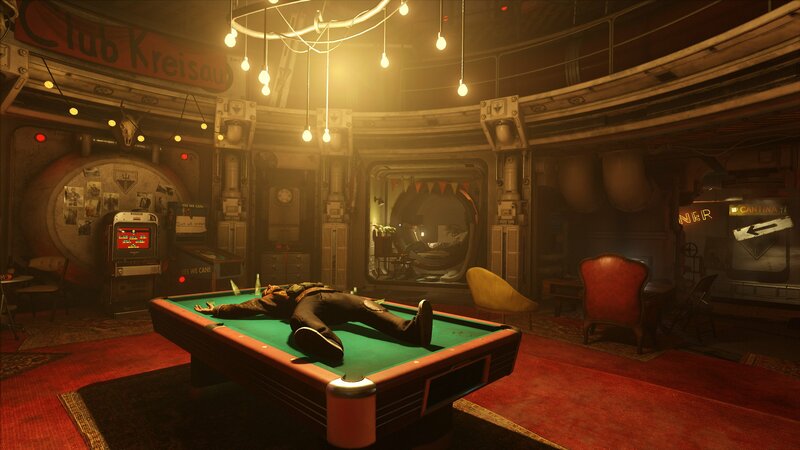 Between each mission, new faces appear, they find a corner or a closet to call their bunk, and decorate it with items that bare their soul. And these faces react to one another, too. Storylines develop and play out if you take the time to go and check in on your crew. Some are rare gems of comedy sold through the body language of their actors, others heartwarming dramas. The voice acting and writing in all of them are no less than phenomenal. And this is a game about shooting Nazis. You don’t need any motivation, but it pours out of every crevice of Eva’s Hammer. All of these moments come as soothing balm to the frantic, hyper-adrenaline rushes of action when out on a mission. Through various Plot Happenings, BJ Blazkowicz ends up with some superhuman abilities – nothing too outlandish, just able to sprint very fast, jump and slam through floor grates and the usual sellotaping dead Nazi helmets to himself for armor. Later there are even more abilities linked to solving minor environmental traversal puzzles, but also help in combat. The combat is every bit as good as its predecessors, though much, much faster. The speed of fighting can become overwhelming at times but never enough to make you want to stop running, sliding and rattling bullets at everything that moves, guns akimbo. The dual-wielding option returns allowing you to mismatch your off-hand and letting you choose a playstyle that works. For me, that was the shotgun and assault rifle, and it dealt with everything. There are weapon upgrade packs scattered and hidden through levels, but each weapon has only three possible upgrades. For the shotguns – already a triple-barrelled revolving beast – as well as a larger magazine and ricocheting shots, one upgrade allows you to fire all three barrels at once, providing enough damage to end almost any enemy at close range. However once I’d discovered this, I felt no need to try the lesser weapons – and there absolutely is a hierarchy – or even some of the temporary power weapons you pick up from larger enemies. My shotgun-rifle approach (I’d nicknamed Schock and Awe) was just dandy until the weapons dropped by elite enemies later on. It would have been good to have just one more upgrade for each weapon to see if I could find any other favorites before then. 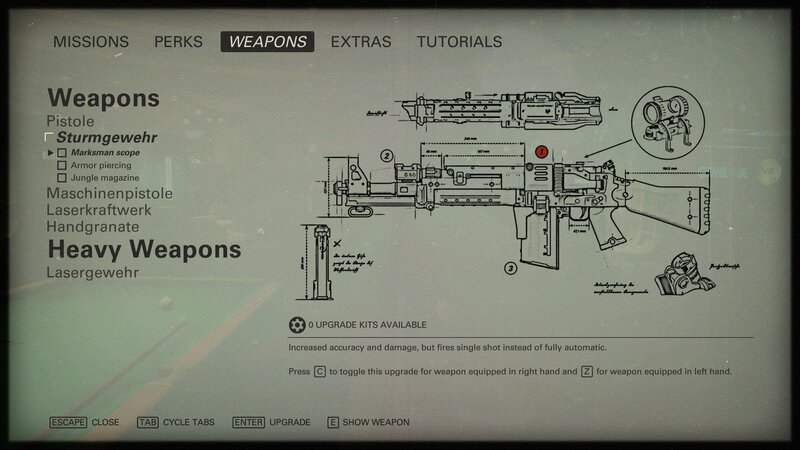 As well as weapon upgrades, there is an ability upgrade system too, named perks. However, thankfully for a game as fast and frantic and satisfying in its combat, this never gets in your way asking you to spend ability points. You simply unlock slightly improved abilities (health regen, overheal duration, sneaking speed) by doing more of the playstyle that rewards them. Get more stealth takedowns and you can walk faster in crouch, kill commanders without alarms going off and you get slightly longer to kill them before the alarm goes off. Killing commanders also grants you an Enigma Code, which is all but useless until the end of the game. The story provides a nice lead in as to why you want to use these, discovering high-ranking officers to assassinate them and assist the revolution, but actually doing so provides no benefit and is just a way to justify replaying levels while you look for the collectibles you missed. It’s good that there is some sort of canon endgame content, but I was expecting something a little more substantial by the way it was introduced. Through normal play you also won’t amass enough Enigma Codes to unlock every officer and actually have to grind for them which is not satisfying. It’s one extremely minor flaw in an otherwise brilliant campaign, however. Given its predecessor’s penchant for upping the ante throughout its arc, The New Colossus certainly doesn’t let anyone down with big reveals and utterly improbable twists. There are some locations that it feels could have been used to a better degree, but overall it’s absolutely a ride you want to be taken on.